Once by the right pains to adapt the video or audio file to a device. 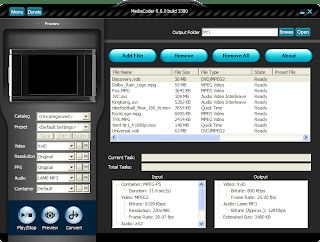 This is not the case if you are using MediaCoder, because unless you know a lot of film and audio formats, this program executes its tasks quickly and without much passion. Select files, format, possibly some basic adjustments and that's it. If you prefer, you can convert and run on a large number of files at once. Price - zero order.